Recently the latest issue of Weekly Famitsu has revealed the sales figures for the period between October 1 and 28 in Japan. 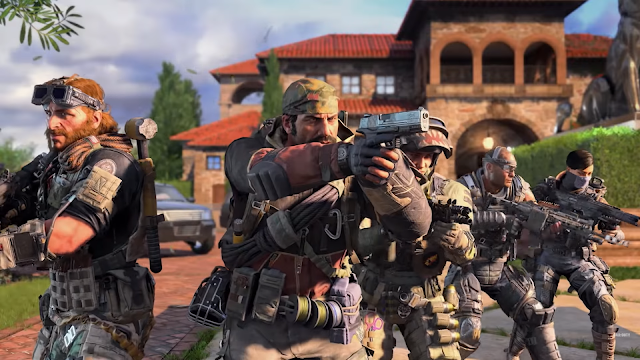 Call of Duty: Black Ops IIII topped the list of best-selling digital games throughout October with 113,561 units sold. Call of Duty: Black Ops IIII (PS4, Xbox One / released October 12) – 113,561 digital sales. Red Dead Redemption 2 (PS4, Xbox One / released October 26) – 50,646 digital sales. Puyo Puyo eSports (Switch / released October 25) – 35,410 digital sales. Puyo Puyo eSports (PS4 / released October 25) – 24,914 digital sales. Resonance of Fate: 4K / HD Edition (PS4 / released October 18) – 19,909 digital sales. Assassin’s Creed Odyssey (PS4, Xbox One / released October 5) – 18,105 digital sales. Soulcalibur VI (PS4, Xbox One – released October 19) – 16,245 digital sales. Dead by Daylight (PS4) – 15,602 digital sales. Super Mario Party (Switch / released October 5) – 12,168 digital sales.